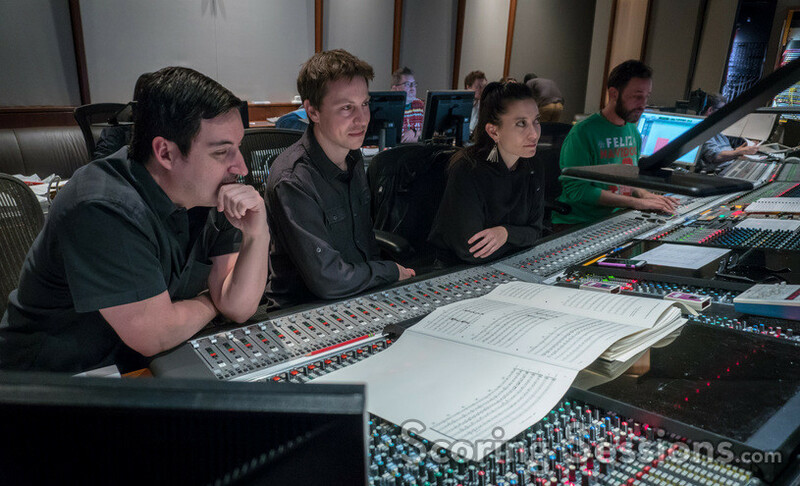 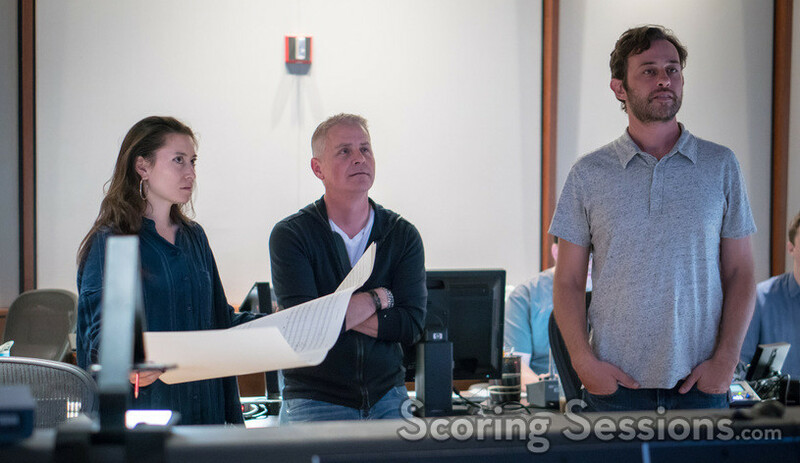 Composer Blake Neely and his Cow on the Wall Studios team are some of the busiest composers working in television today, scoring eight television shows. 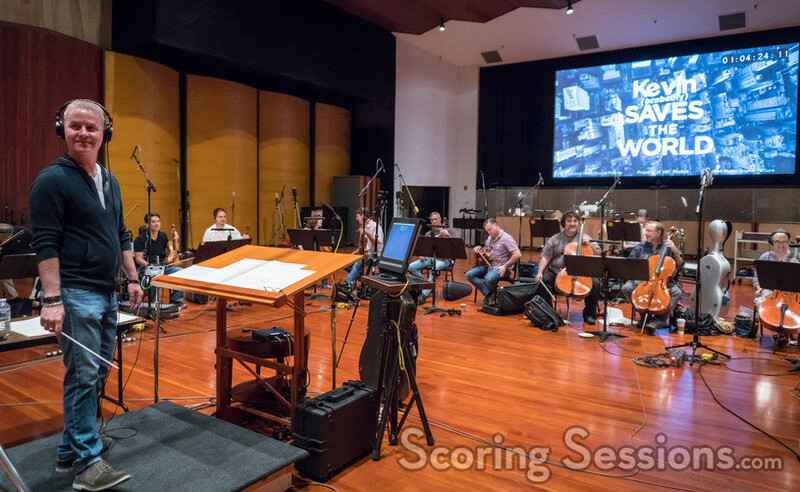 Amazingly, they recorded three of them with live orchestra, weekly. 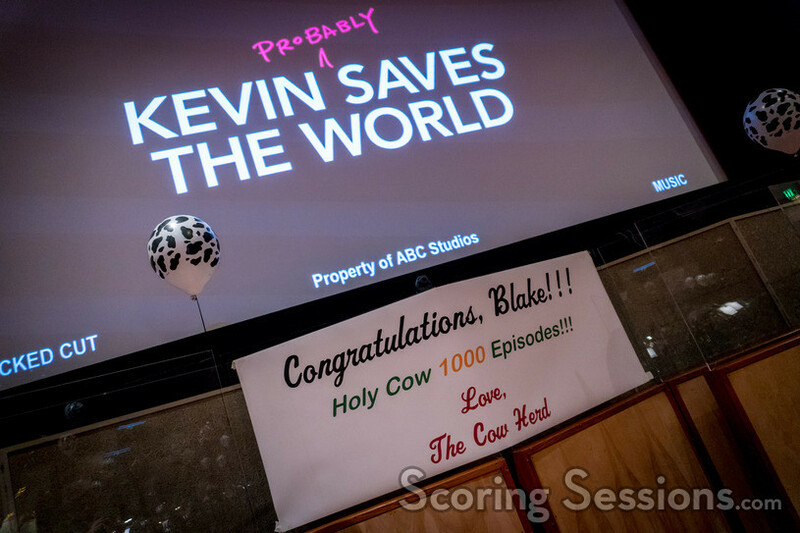 The third one we take a look at is for the ABC television series Kevin (Probably) Saves the World, composed by Blake Neely. 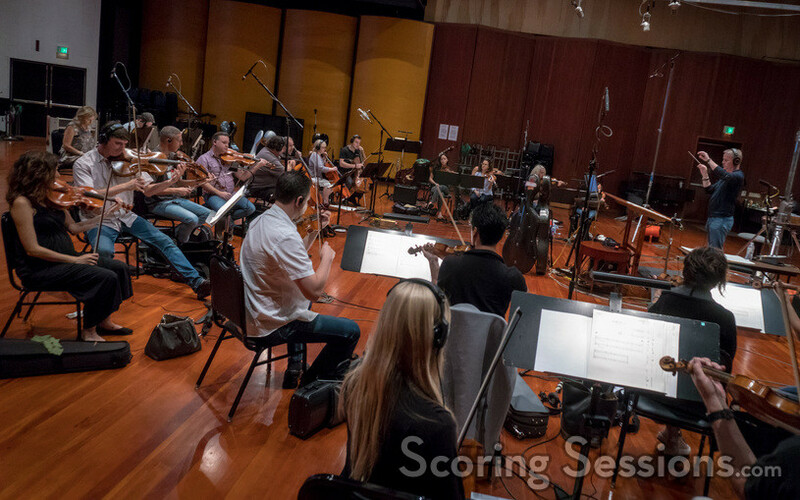 ScoringSessions.com is delighted to bring our readers exclusive photos from one of the sessions! 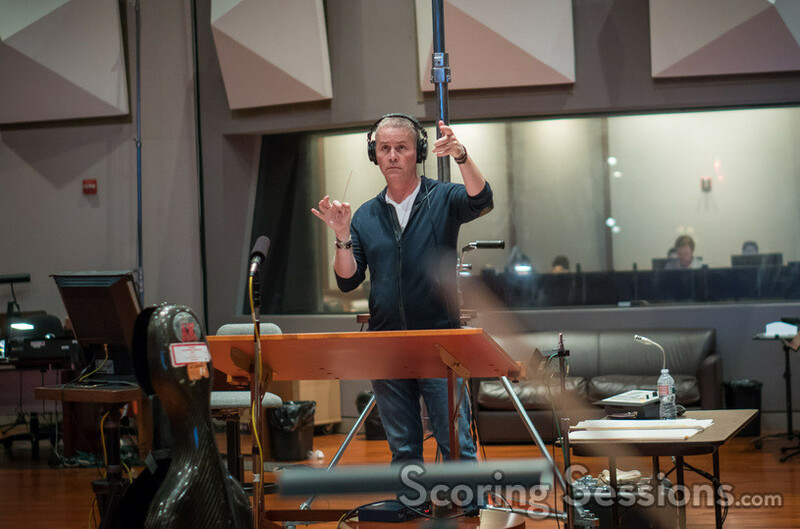 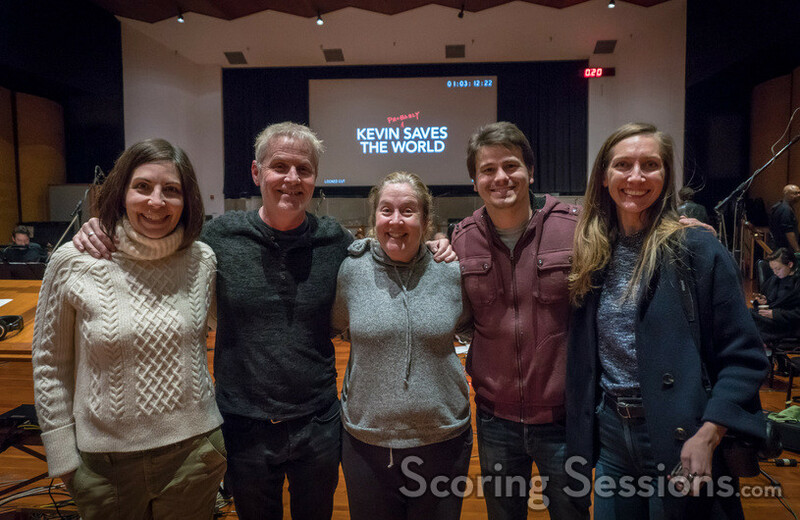 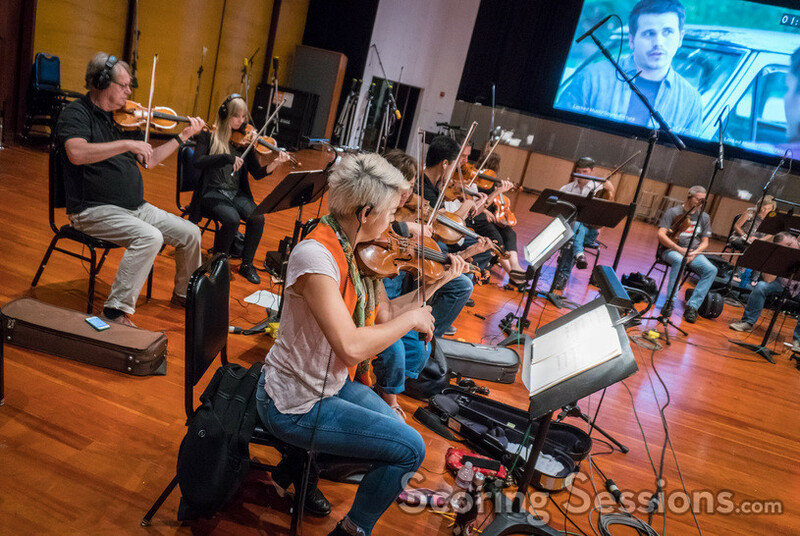 Recording for Kevin (Probably) Saves the World took place at the Eastwood Scoring Stage at Warner Bros. where Neely conducted an ensemble of the Hollywood Studio Symphony comprised of 20-strings and two woodwinds, which were mixed on top of the synth elements of the score. 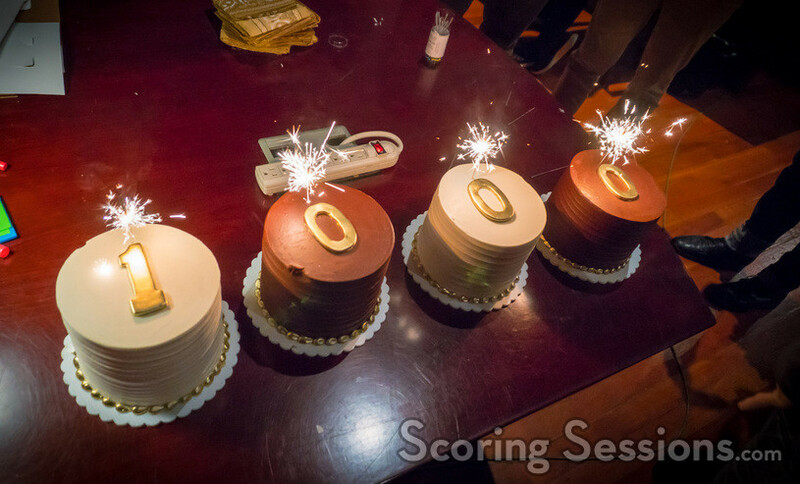 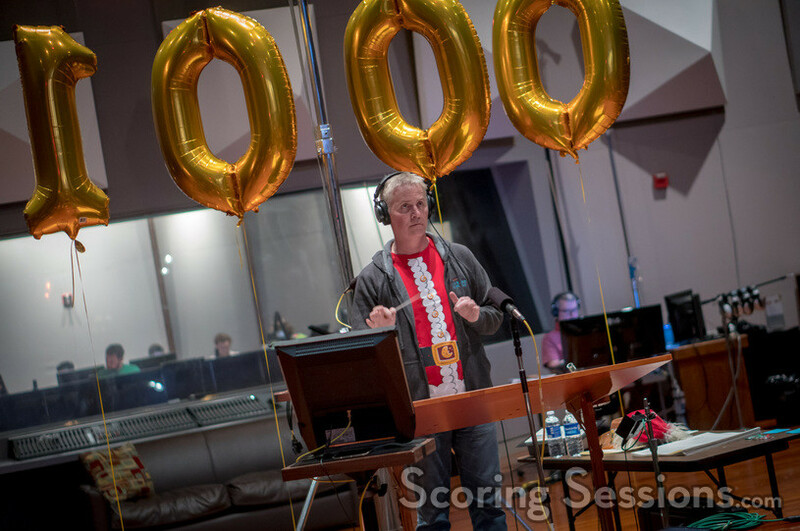 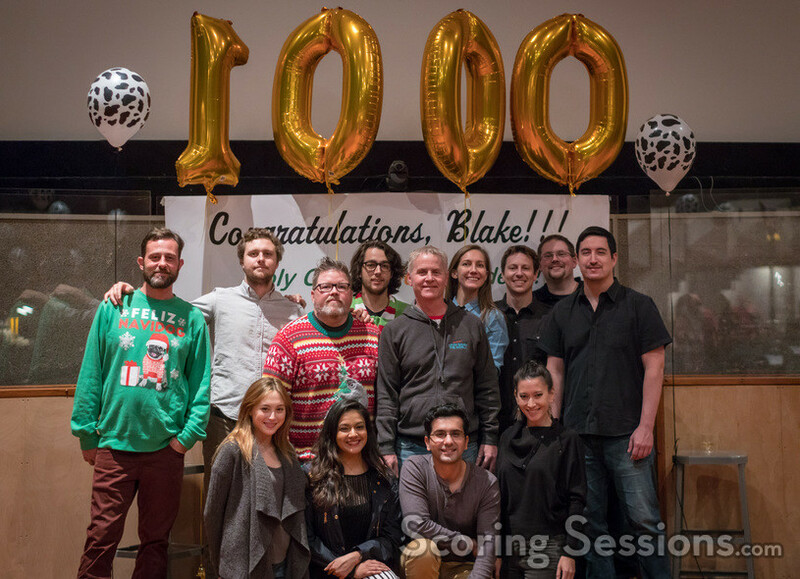 A session that took place around the holidays was reason for much celebration, as it marked Neely’s 1000th(!!) 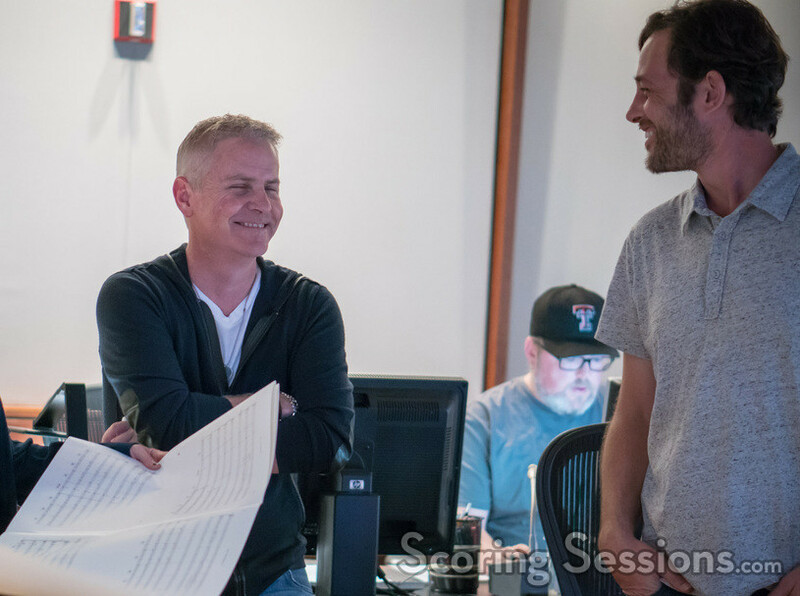 episode of television that he had written. 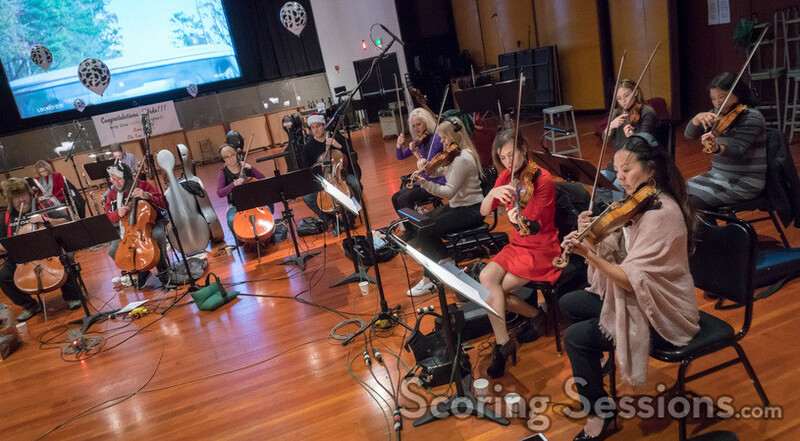 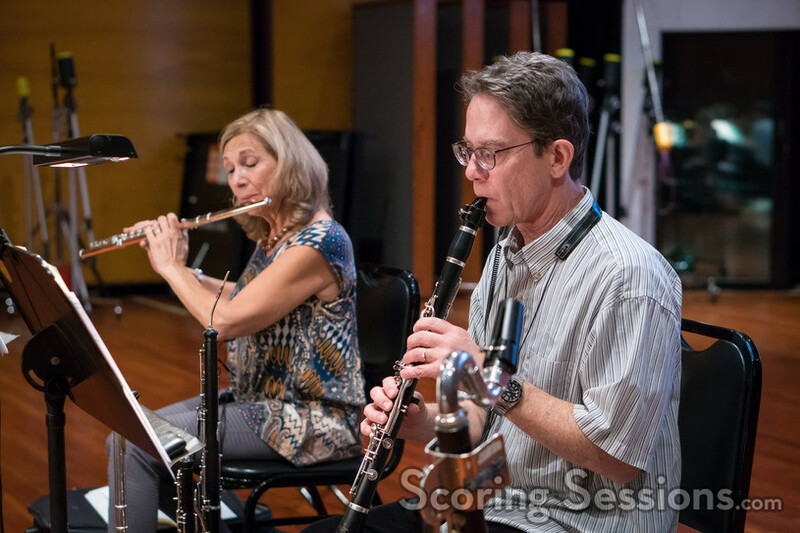 The orchestra was decked out in festive holidaywear, and there was a celebratory atmosphere culminating in cake and champagne at the conclusion of the session. 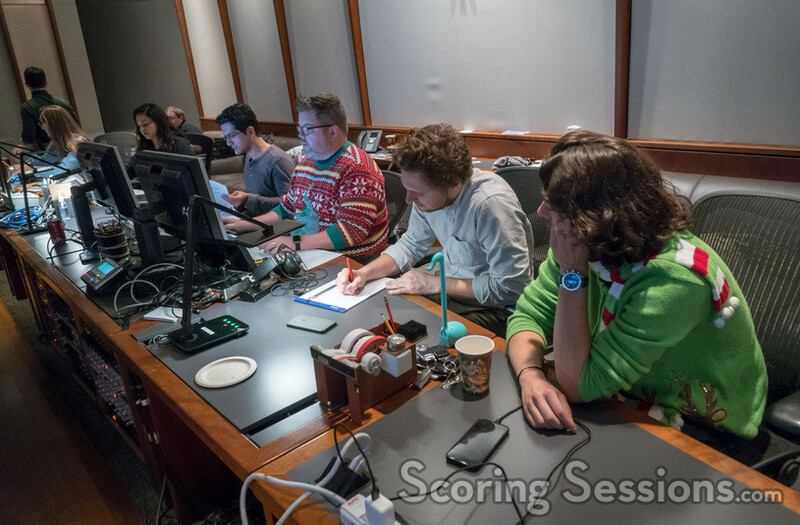 Inside the booth, Neely’s Cow on the Wall team was assembled to give feedback out on the stage..
At the season finale episode (which also sadly turned out to be the series finale), show producers Michele Fazekas and Tara Butters came by, along with star Jason Ritter, to show their support.